Sometimes even the nicest homes need a little bit of a makeover! 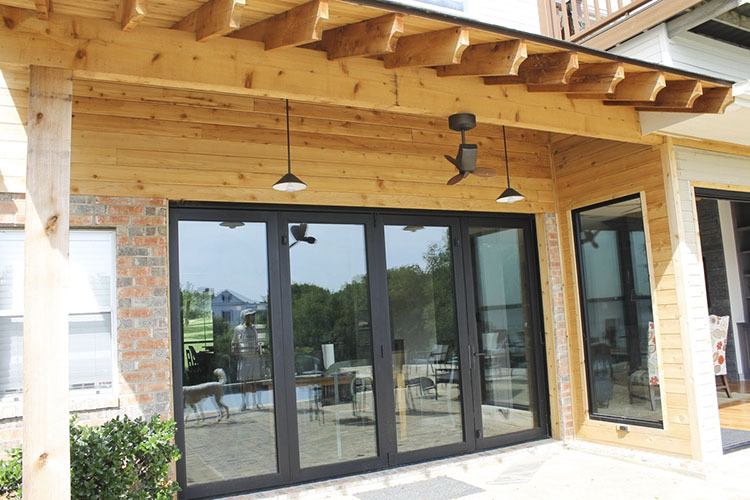 This beautiful lakefront home was almost perfect, but we knew there were one or two improvements that we could make to really turn it into a fantastic place to live. And it all started in the kitchen. 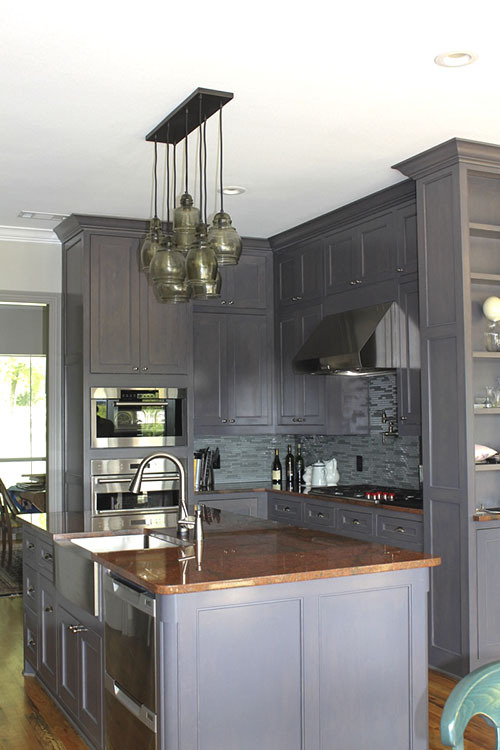 This family was ready for a kitchen that met their needs in a comprehensive manner, giving them the room (and beauty) that they’d always imagined in this space. 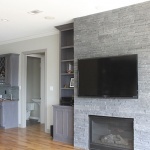 We began by giving them new countertops and cabinets—granite countertops for beauty, grey white-washed cabinets for space (ok, and maybe for beauty too!) 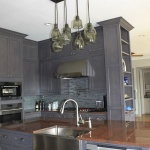 The countertops were especially fun because we got to use a truly stunning new color of granite: red dragon! It really livened the kitchen up and gave it a unique look not to be seen anywhere else. 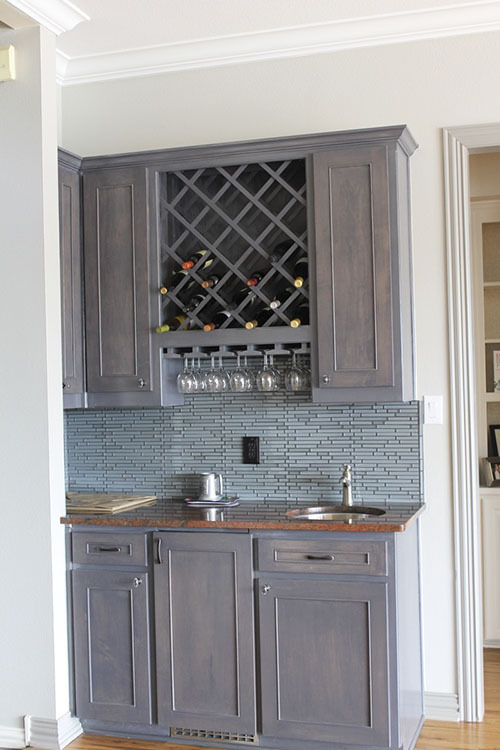 We finished it off with a gorgeous new vent-a-hood, new light fixtures, and an apron-front style sink. 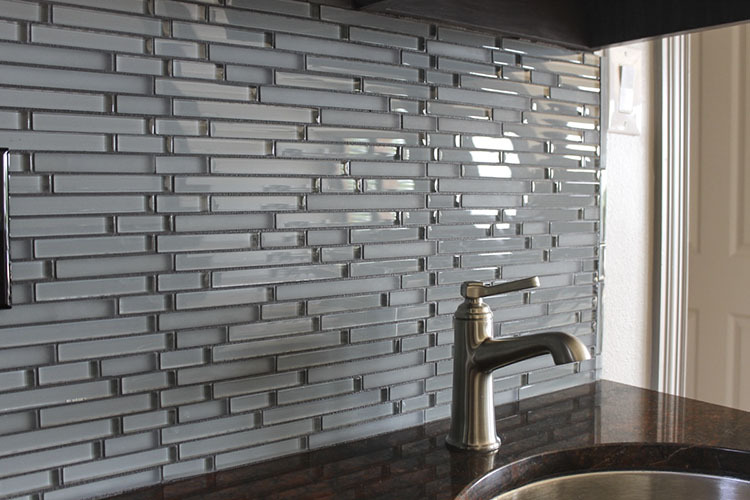 But we didn’t stop there—this remodel tied in more pieces to created a comprehensive design. 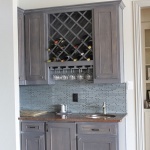 We added a matching wet bar to the living room, turning this house into the perfect place for entertaining company. We also added a fireplace for those cold winter nights before turning our attention to the outdoor areas of the home. 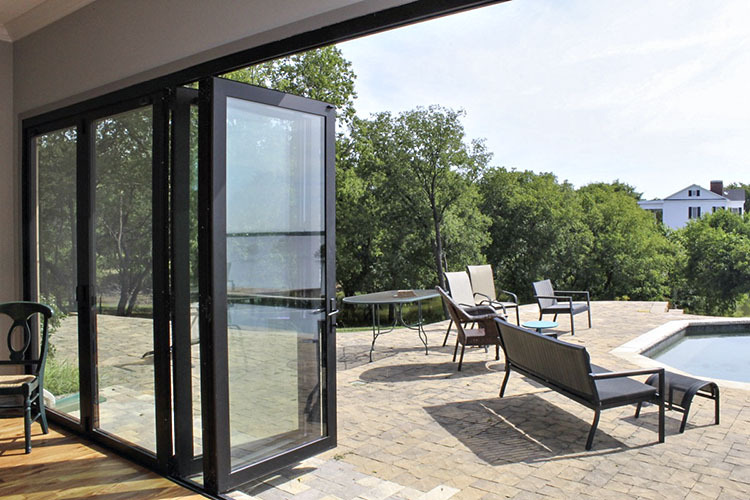 Because it’s a lakefront house, it of course had a patio, but it was time to make this patio dazzle—to really turn it into something that could accommodate guests. 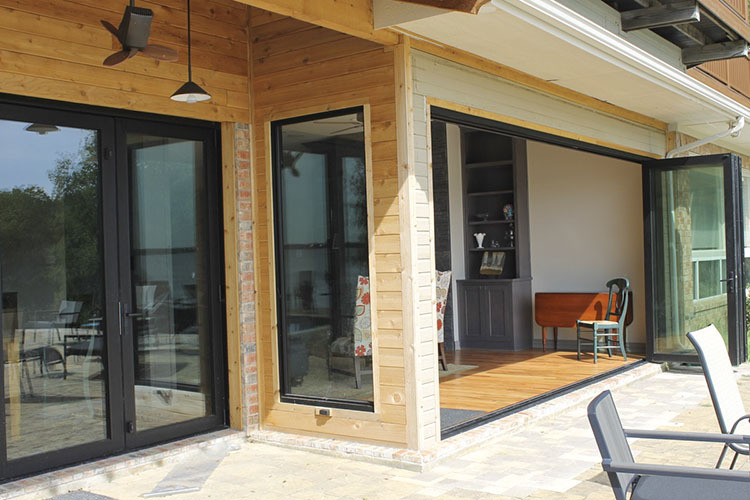 We added brand new accordion doors for those cool spring and fall days when you just want to turn the living room into an extension of the patio. It allows guests (and the breeze!) to wander in and out as they please. It really opened up the space, not to mention making the new patio cover more important than ever. But pictures can say more than we can—take a look at how it turned out! Here you can see the all new kitchen in its entirety. 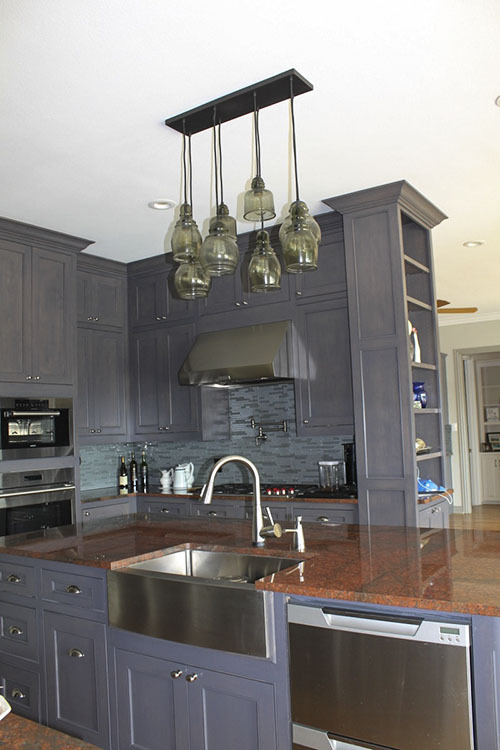 Take a close look and you can see the red dragon granite of those new countertops—gorgeous! Note the brand new, grey white-washed cabinets, the sink with apron-style front, and the huge new vent-a-hood. Here you can see the handy new wine rack on top of the wet bar in the living room—makes entertaining simpler and more fun! 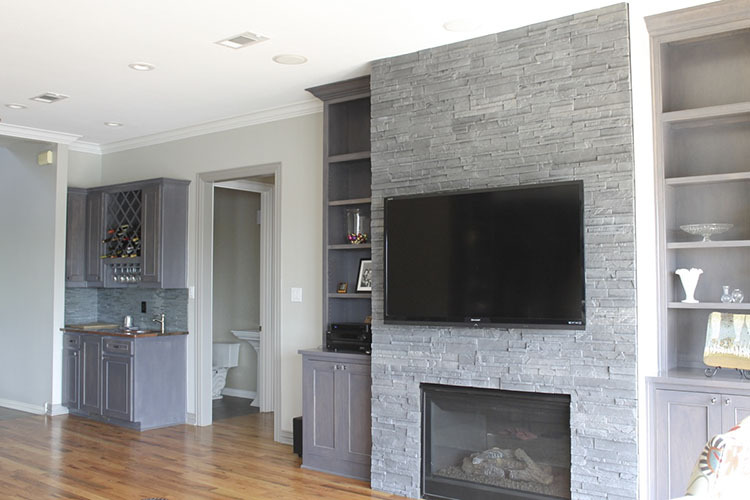 This shot of the fireplace with dry stack stone reveals the wet bar close by—grab a drink and sit by the fire! 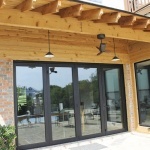 Here you can see those accordion glass doors opening out onto the new patio space. Moving outdoors, you can see the all-new light fixtures and the new patio cover—plenty of room to hide from spring storms here! 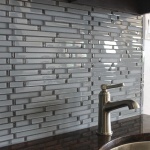 Here’s a close up of the stunning glass tile we used over the wet bar.